Be the first to share your favorite memory, photo or story of EC. This memorial page is dedicated for family, friends and future generations to celebrate the life of their loved one. EC White was born August 29, 1933 in Ryan, Oklahoma to Athel Mitchell (Bud) and Sleeter Ellen (Coker) White. He passed from this life in The Woodlands, Texas January 19, 2019 at the age of 85 years. As the child of itinerant farm workers, EC spent much of his childhood in west Texas, growing up in a family of 7 children. In December of 1953, EC enlisted in the US Army. He was stationed in Germany following boot camp and training, coming home with Big Red One in October of 1955. He served 10 years, through May, 1962, in the Army Reserves. In the early 60's, he and his mother moved to Houston. After the death of his beloved mother, he met the woman whom he would later refer to as his sweetheart. EC and Hope were married in Willis in March of 1967, making their home in Houston, Texas. They welcomed their first child in December of 1968 and the second in February of 1971. In 1973, EC and Hope packed up their family and moved to Willis, Texas. They made Willis their home, with the exception of moving away briefly in 1979, throughout the school years of Julia and EC Jr (Bubba). EC worked in a variety of jobs throughout his life, including house moving with his father and brothers, welding, and maintenance, as well as other endeavors, retiring in 1996, after working for over 10 years as head maintenance at Plantation Apartments in Conroe Texas. EC and Hope remained in Conroe during their retirement. In 1990, EC and Hope enthusiastically welcomed their first granddaughter, and over the next 9 years, celebrated being grand parents, welcoming 4 more granddaughters. In 2008, they became great grandparents with the birth of the first great granddaughter. 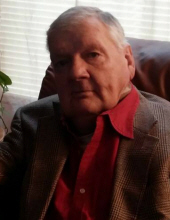 With the death of his sweetheart in 2010, following 7 years in long term care, EC continued to live in the Conroe area, moving to Montgomery in 2015, where he lived until his death. He is survived by his son EC (Bubba) White Jr. and daughter Julia Marie White. His grandchildren Sadie & Travis, Cheyene & Grant, Marah & Austin, Hannah, and Kati. His great grandchildren Harleigh, Tristan, Dalila, Ethan, Kaylor, Killian, and Rin. His baby sister Hazel Glenn. And many family and friends. He was preceeded in death by his sweetheart, Elma Hope Brinkley White, his parents, Athel Mitchell White and Sleeter White, his siblings; infant twins Lois and Louis, his brothers Orville and Charles, twins Clarence and Mary, sister Helen, and nephew John White. A Memorial Service / Celebration of Life, will be held at his home church on Saturday, February 2, 2019 11:00am at Gospel Assembly, 15176 Rabon Chapel Road, Montgomery, TX 77316. Interment: Houston National Cemetery, 10410 Veterans Memorial Dr, Houston, TX 77038. To send flowers or a remembrance gift to the family of EC White, please visit our Tribute Store. "Email Address" would like to share the life celebration of EC White. Click on the "link" to go to share a favorite memory or leave a condolence message for the family.